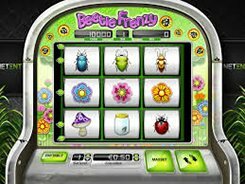 Beetle Frenzy is a 3-reel 5-payline slot with a theme revolving around nature. 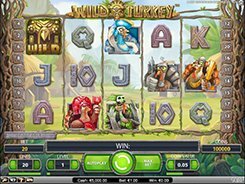 What makes the slot unique is a variety of winning combinations and a host of bonus features that can be quite lucrative. On the reels you will come across a wide range of beetles and flowers, an apple, a mushroom and a bug collector. 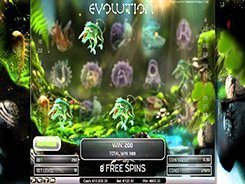 A coin is adjusted from $0.1 to $5, with up to 5 coins accepted per line, thus the maximum wager you can have in play is $25 per spin. 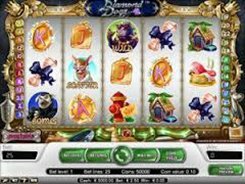 Like in most other 3-reel slots, a winning combination consists of three matching symbols landed across a payline. Besides, if any symbol lands on all of the nine reel positions, a win will be very impressive. Hitting three matching symbols on a payline awards up to $200, while having nine identical symbols on the 3x3 grid wins up to x2000. 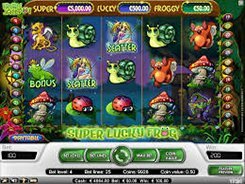 The slot is equipped with a wild symbol depicted by the Black Beetle, with four of them triggering the Lucky Spin feature, should they land in a specific flower-like pattern in a normal game. Besides, three flowers of the same color occurred on a payline unlock the Flower Frenzy bonus game. PLAY FOR REAL MONEY!